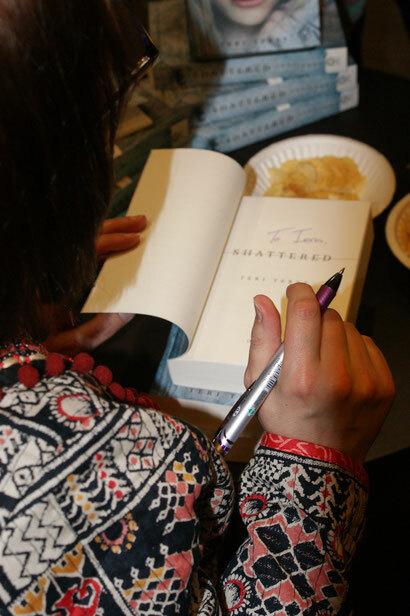 The Shattered UK Launch Party! 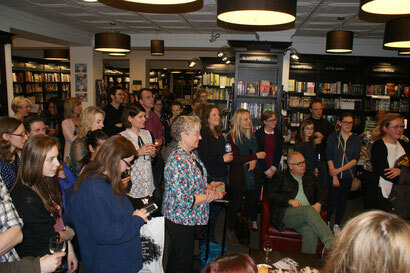 On the 20th March Shattered was launched at Waterstones Islington in London: party time! It was a fab night. 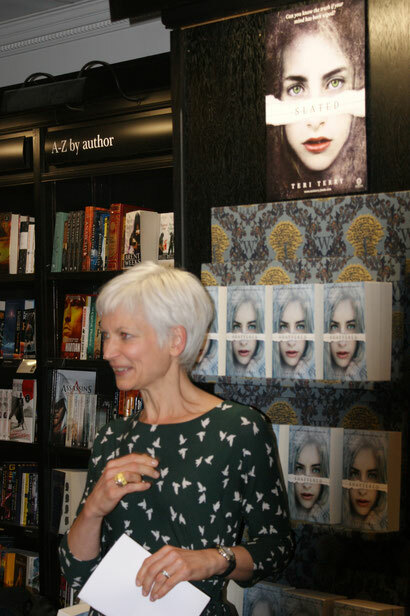 I was really struck by both the contrasts and the similarities between the launch of Slated in the very same bookshop, almost two years ago, and of Shattered now. SO much has happened in such a short time! 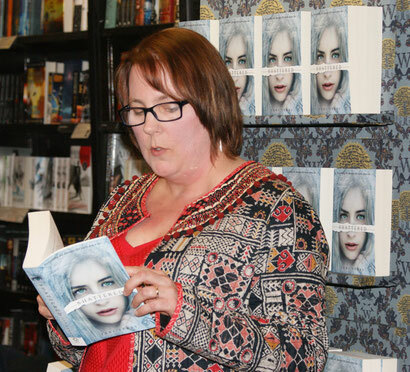 I've gone from completely-terrified-debut-author-clutching-first-book-full-of-hope, to slightly-less-terrified-third-time-author-clutching-last-of-trilogy. Many of the faces were the same, friends from way back; some were new. 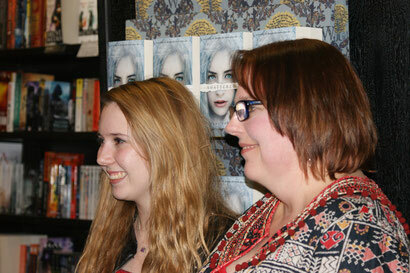 And Ailsa and friends, who were invited as part of my blog giveaway! 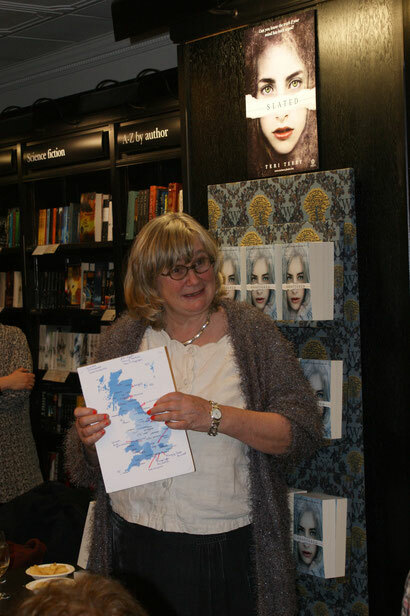 Next, my agent, Caroline Sheldon: without her, none of this may have ever happened. One person I pointed out to everyone is Thy Bui, the cover designer of all three of the Slated UK covers: there were delighted gasps all around. 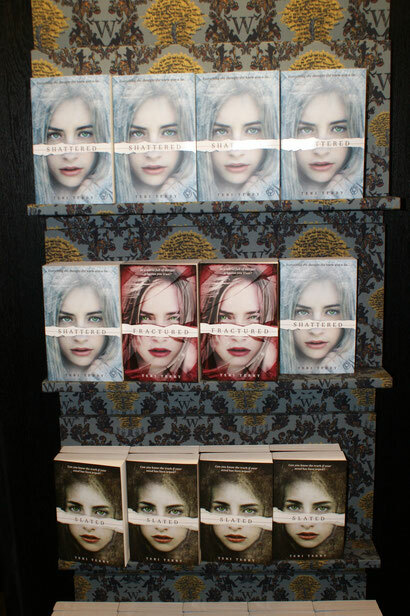 I know how very lucky I've been with the Slated covers: thanks, Thy! 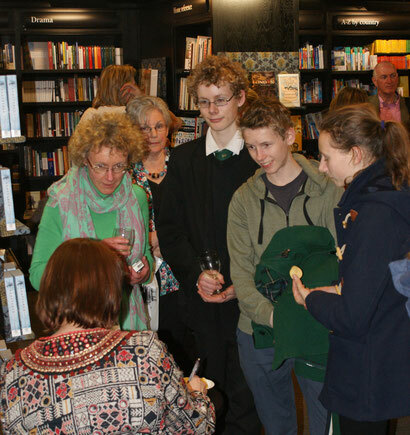 Finally it was time to collapse in a chair & sign some books! Really happy to see Iona, Duncan, and Euan, and mum Karen again - they (without their mum!) were in my Chatterbooks group when I worked in Bucks libraries. 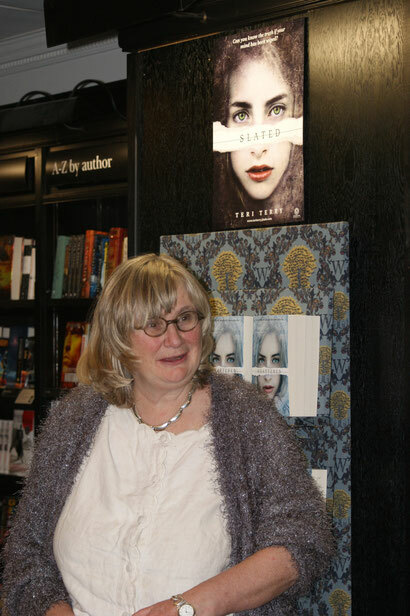 There are LOADS of signed copies of all three books at Waterstones Islington, RIGHT NOW!! 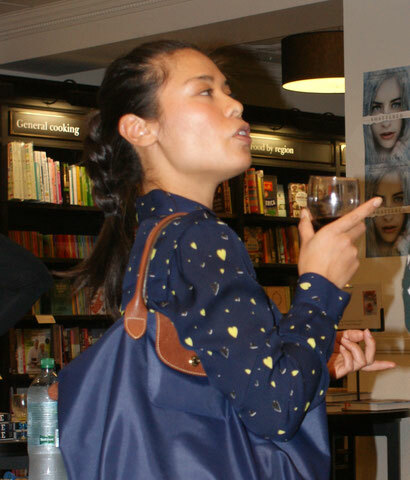 Thanks so much to Orchard Books - Megan, Rosie, Victoria, Thy, Laure, and everyone. 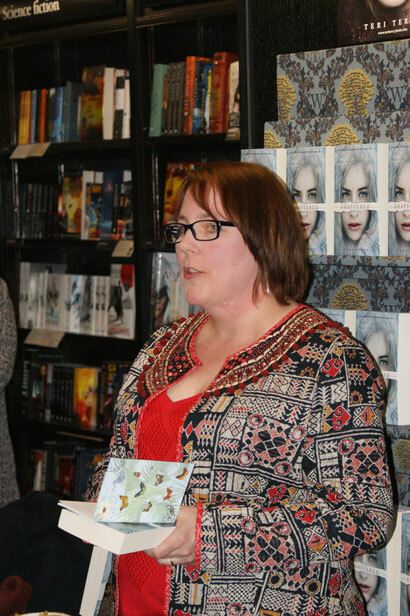 Thanks to all my lovely friends, writers and otherwise; The Man, and my big sis; readers and patient parents &/or daughters who brought them along.